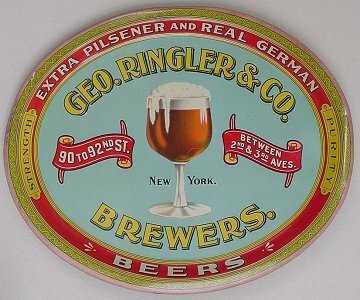 "Extra Pilsener and Real German Beers"
16.5" x 10.5" x 1.25"
New York, New York Comments: A tough tray and this one is in fantastic shape. Picked this up after a non-met reserve on eBay. A contact after an auction (especially if you were the high bidder) can often lead to a completed deal. I am glad this one did, as this is a great tray.